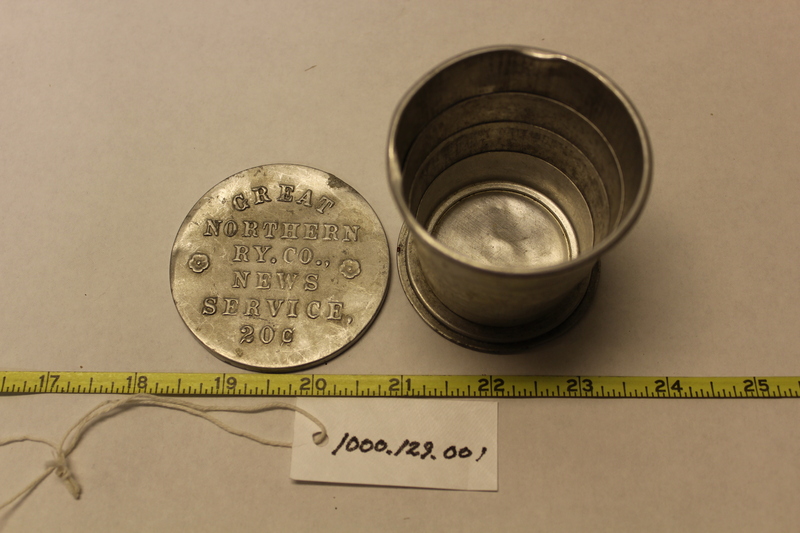 This unique and rare collapsible, metal, lidded cup was produced by the Great Northern Railway. Running from St. Paul, Minnesota to Seattle, Washington, it was the northernmost transcontinental route in the United States. It was also the only privately funded, by James J. Hill, transcontinental railway in the United States. ← What’s in the Collection?